Please join The Nantucket blACKbook & David M. Handy Events this Monday July 7th from 6pm to 8pm at the Tuckers Roofwalk atop the Nantucket Historical Association. 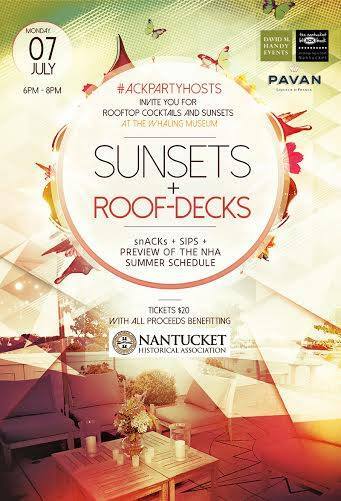 Come to enjoy summer cocktails, lite bites, music & stunning sunset views from #Nantucket‘s one of a kind roof-deck! $20 ticket donation with all proceeds benefiting the NHA.